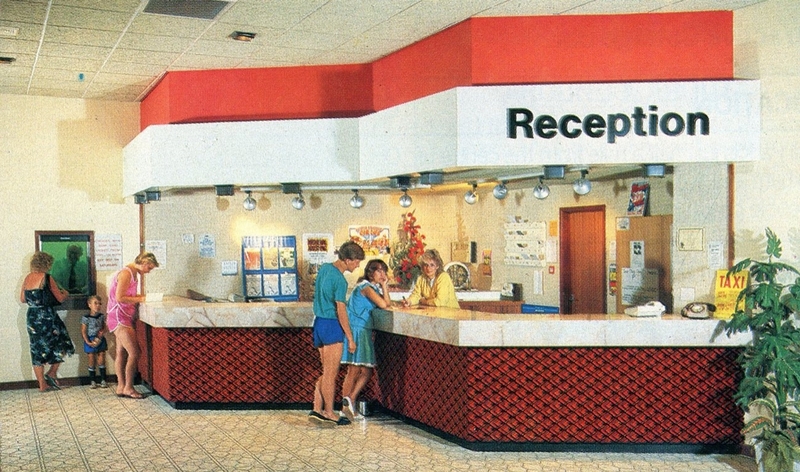 Pontins Wick Ferry Holiday Camp, Christchurch. A holiday camp had existed here since the late-1940s and it was purchased by Fred Pontin in 1962 and subsequently rebuilt after a lengthy planning battle. 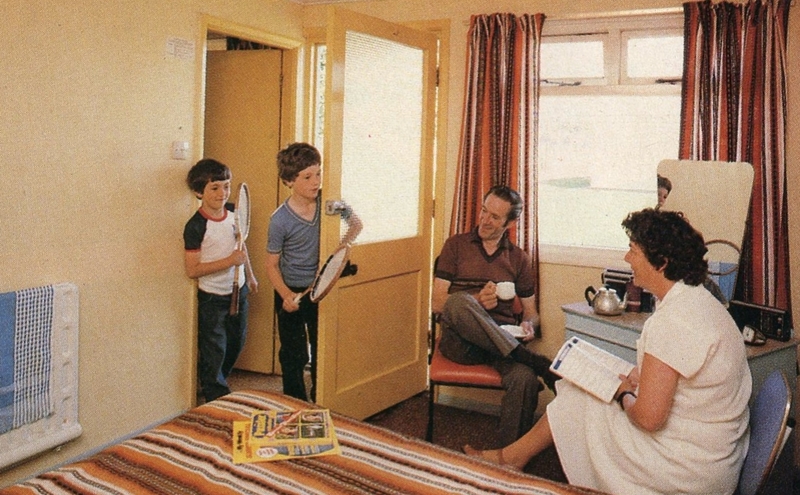 This was the first Pontins camp to be entirely self-catering and had 224 chalets arranged in two-storey blocks. 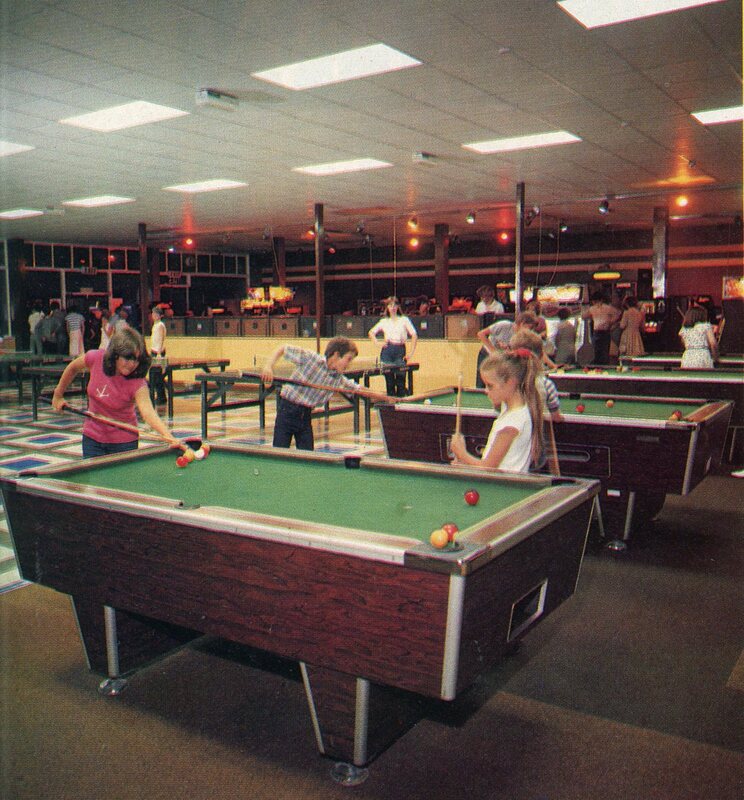 The camp closed in 1995 and was later demolished. Fred Pontin opened his first holiday camp just after the Second World War (during which he had established hostels for construction workers in Scotland and in England) when he took advantage of an abandoned seven acre U.S. tank regiment base at Brean Sands near Weston-super-Mare in Somerset. 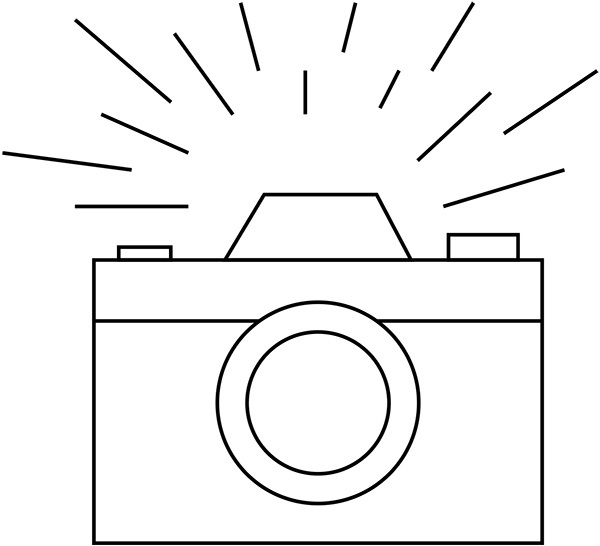 The ex-stockbroker who had left school at fifteen without qualifications, hadn’t the £23,000 to buy it but formed a syndicate for £25,000, ensuring that he held 50% control by buying half the equity with a bank loan. 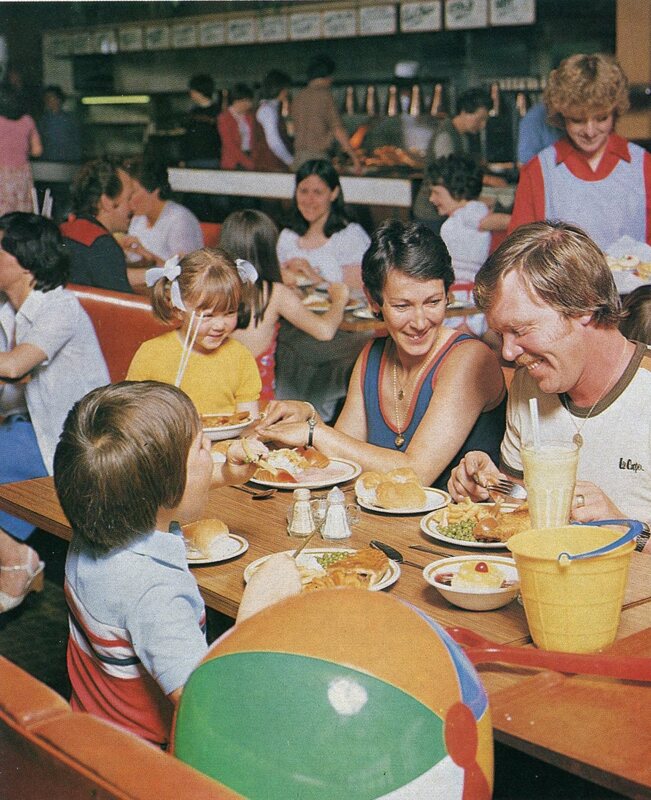 Twenty-five years later, at its peak, the company was running twenty-two holiday camps with a million visitors a year. 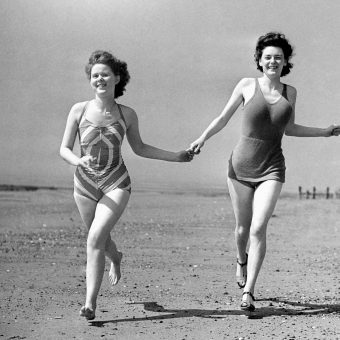 Pontin always insisted that he offered affordable holidays for ordinary people although he patently owed initial inspiration to Billy Butlin, who had opened his first holiday camp in Skegness in 1934. 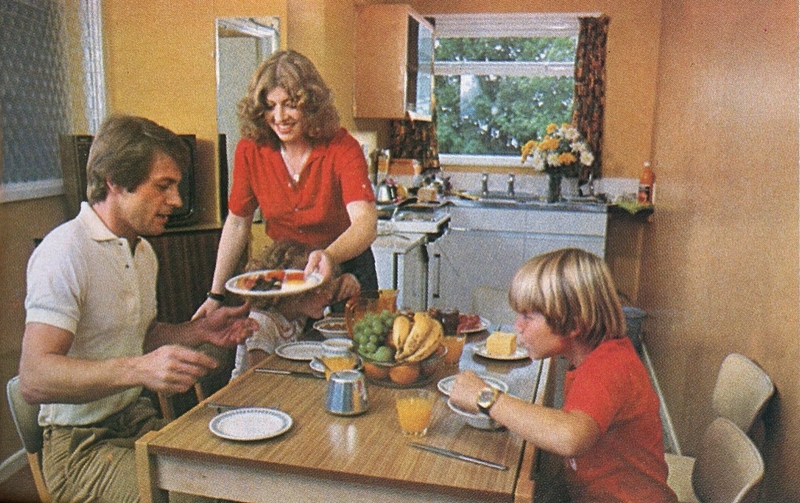 Pontin had “bluecoats” rather than “redcoats” and called his self-service restaurants “tray-away” rather than “take-away”, but he realised after the war, quicker than his rival, that the future was self-catering rather, as Dennis Barker put it in the Guardian, the ‘“Wakey, wakey!” ambience’. 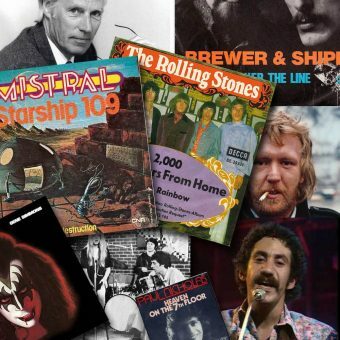 Pontin usually managed to stay on the right side of his employees and in the major recession of the early 1970s he gave himself a pay cut of £928 a week. This, he said, was because his workers were only getting small wage increases. He later admitted that this would have all gone in tax anyway. In 1963, again prescient as far as the holiday business was concerned, Pontin opened ten “Pontinental” camps on the Mediterranean, where he offered two weeks’ holiday for just £50 (actually the equivalent of £1000 today). 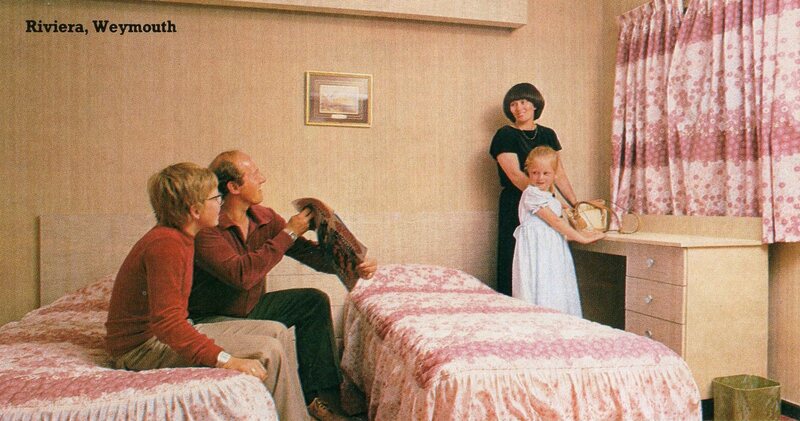 He once boasted that he provided more beds than Butlin’s, although he admitted that he probably made less money. 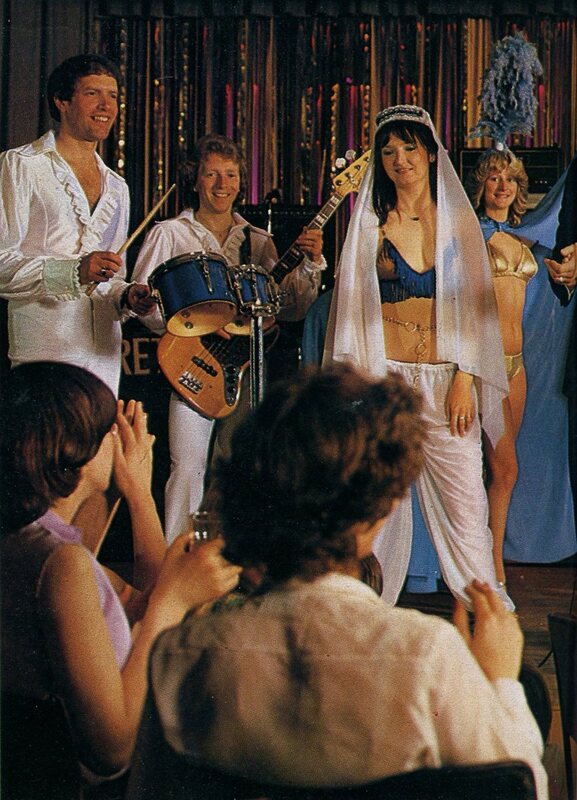 With the arrival of cheaper package holidays, the camps’ popularity waned, and Pontin retired in 1978 after a takeover by the bookmakers Coral. Pontin died in October 2000 aged 94 a year after marrying his second wife Joyce Hey. 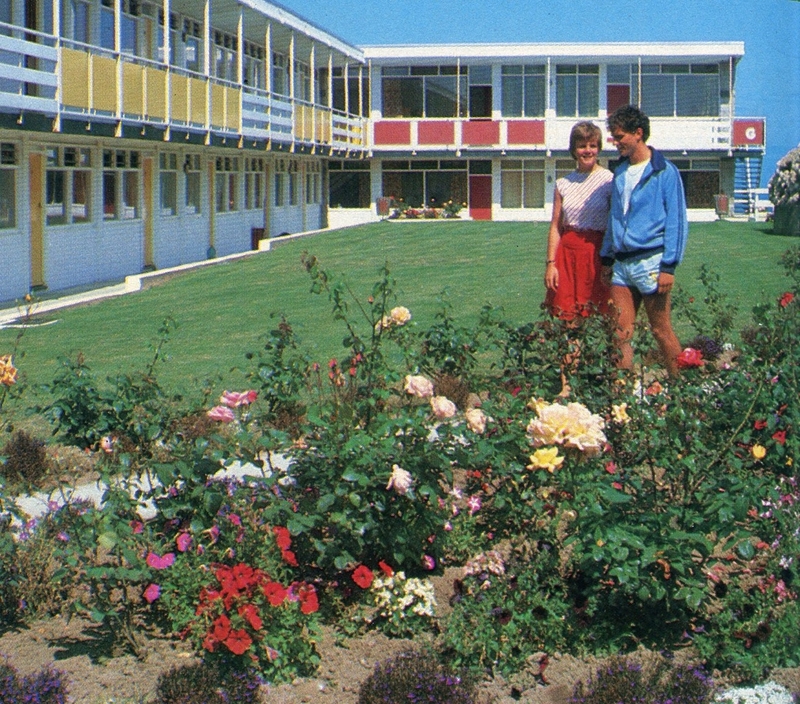 Pontins St Mary’s Bay Holiday Camp, Brixham. 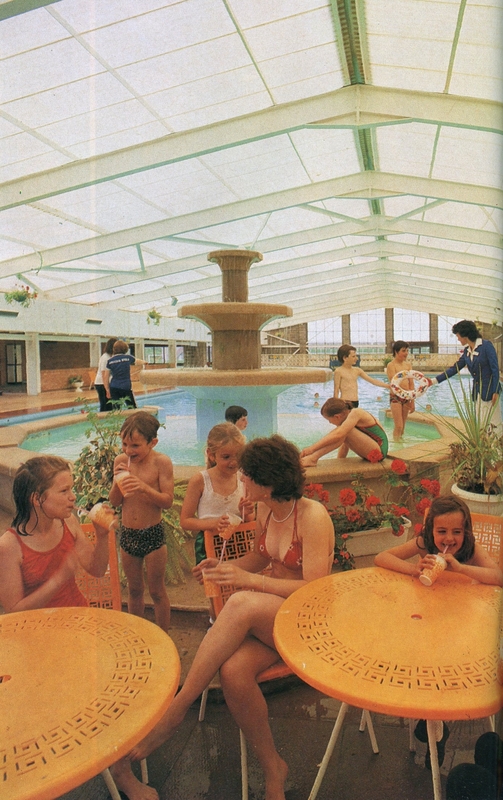 Built within the grounds of Highlands House this camp was acquired by Pontins in 1961. Rebuilt in 1969 with new chalets and converted into a self catering site. 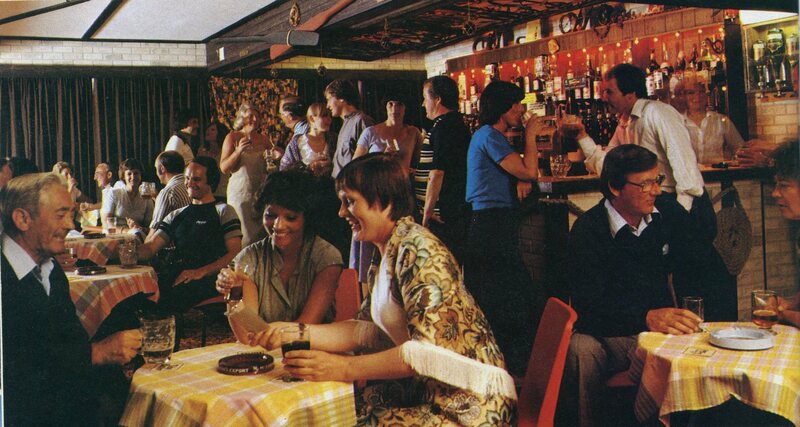 Merged with the adjoining Pontins Homelea camp around 1971. 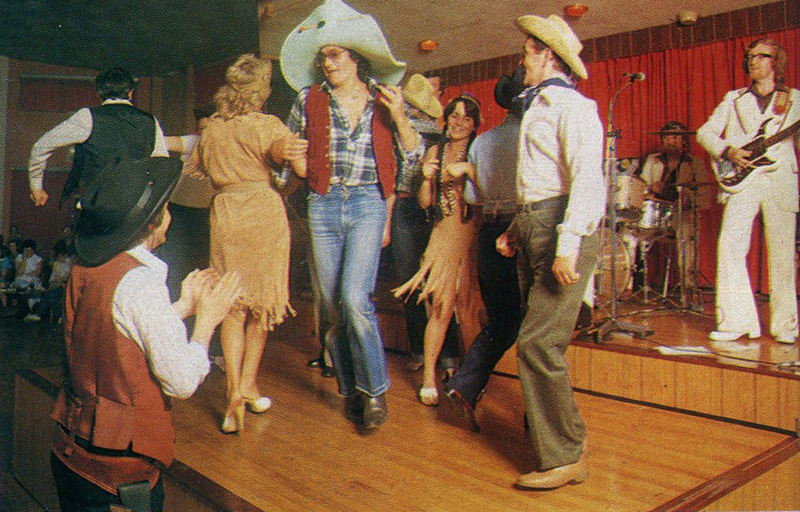 Pontins Plemont Bay Holiday Camp, Jersey. 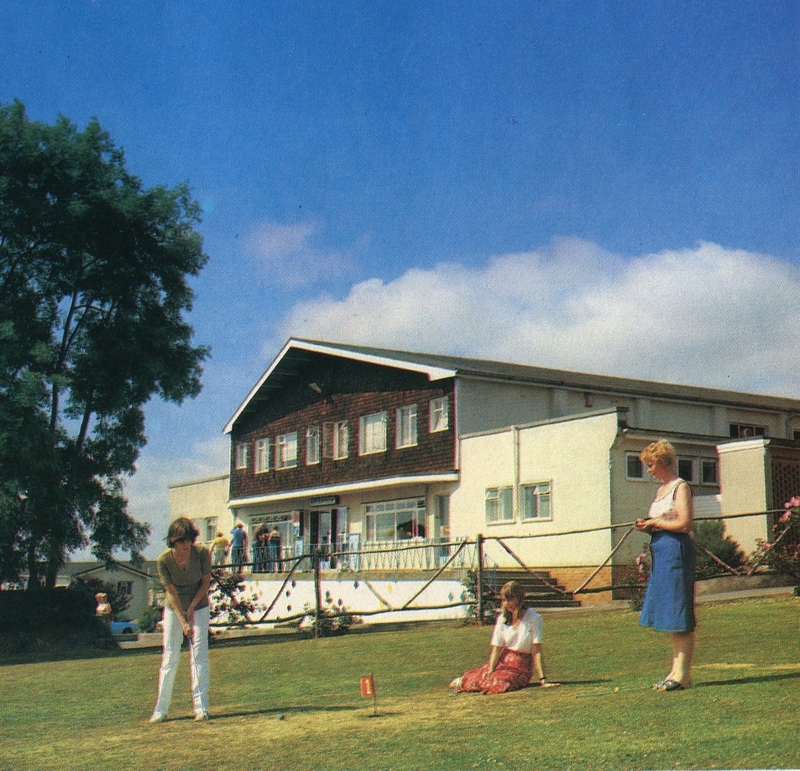 Built in the grounds of the old Plemont Hotel the camp first opened in 1934 as The Jubilee Holiday Camp. It was substantially damaged by fire just three years later. During the second world war the invading German Nazis occupied the site. The remains of the 11 acre camp were purchased by circus impresario Stanley Parkin in 1946 who rebuilt and renamed it as Parkins Holiday Camp. 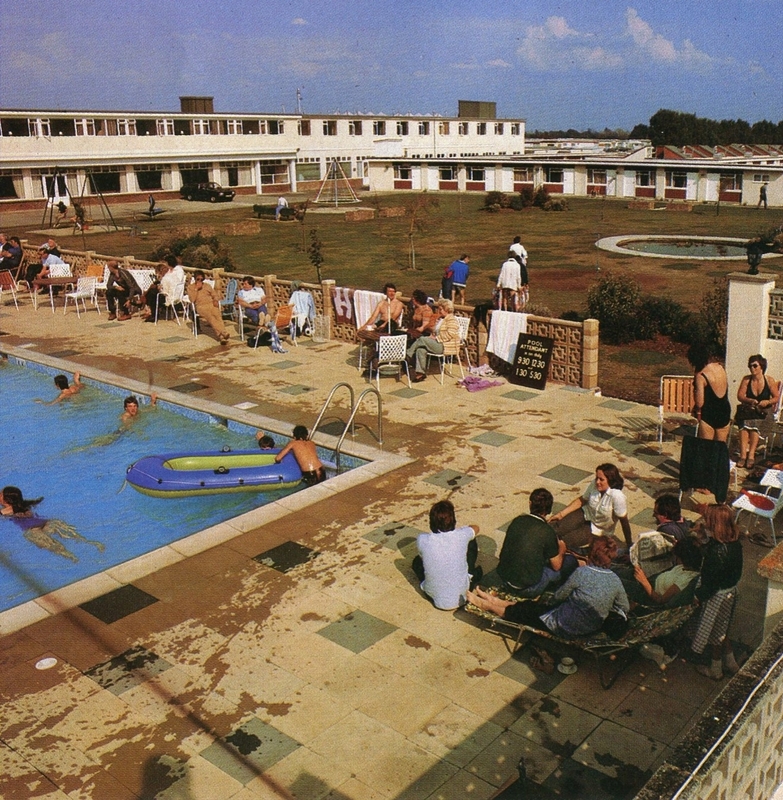 It was sold to Pontins in 1961 for £375,000 and during the late 1960s it was extensively rebuilt with 10 new two-storey apartment blocks replacing the old chalets (eight for campers, two for staff). 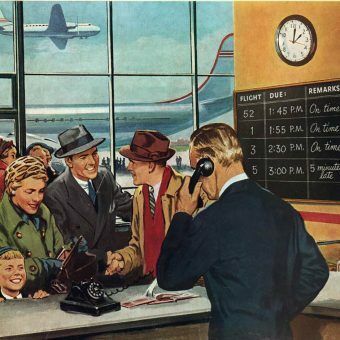 Billy Butlin served on the board here after his retirement to Jersey. Closed at the end of 2000 and demolished. Camber Sands. 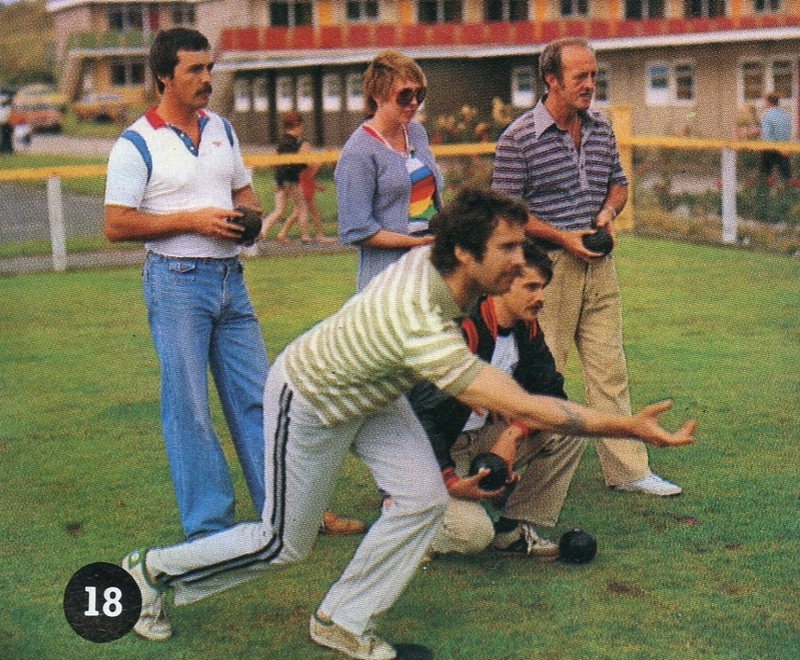 This camp was built in 1968 and covers 32 acres with 820 self catering chalets arranged in two-storey apartment-style blocks giving a total of capacity of around 3,000 guests. The camp has a long association with Strictly Come Dancing judge Len Goodman who organized an annual dance festival here for 25 years starting in the mid-1980s. Dolphin, Brixham. First opened in 1938 and used by Canadian servicemen during the war. 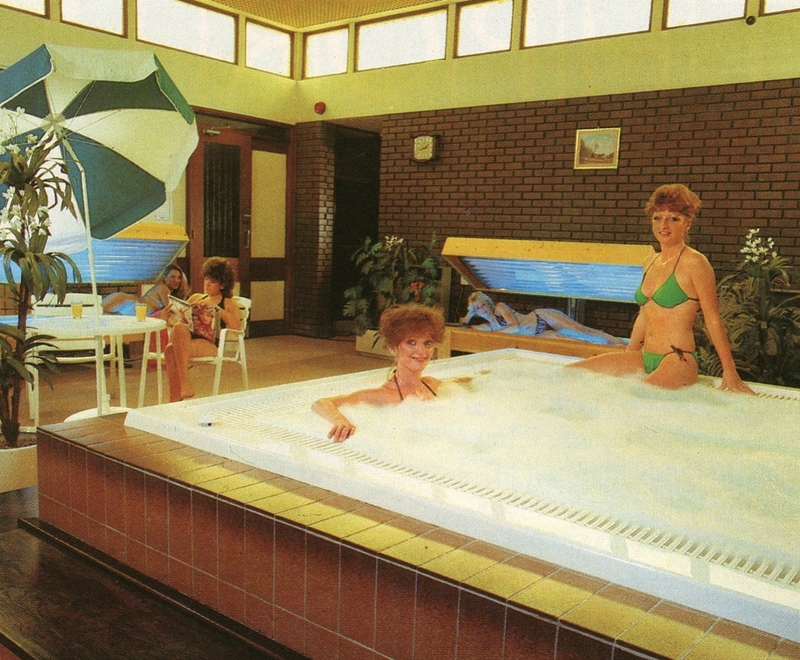 Purchased by Pontins in 1961 and later rebuilt with several new single-storey chalet blocks although a large number of original wooden chalets remained and survived until the end. 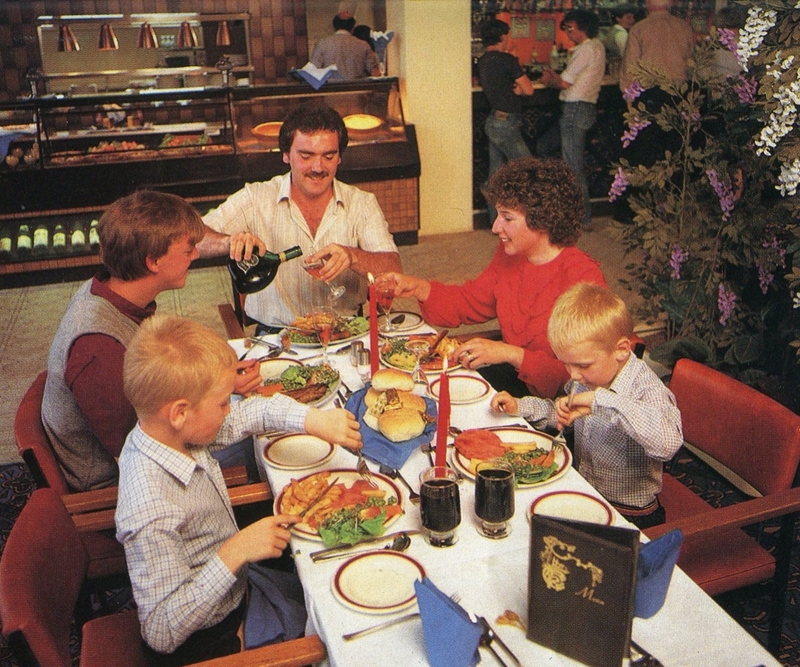 These were offered at a discounted rate (save a tenner a week per person in 1984!) 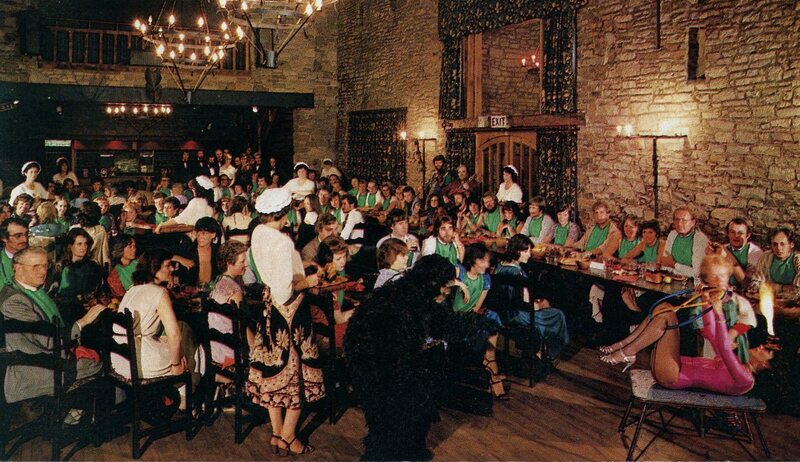 but you had to make do with no private bath or shower… The camp could accommodate around 750 people and was a full board facility which meant that all meals were included and were taken in the huge communal dining room. 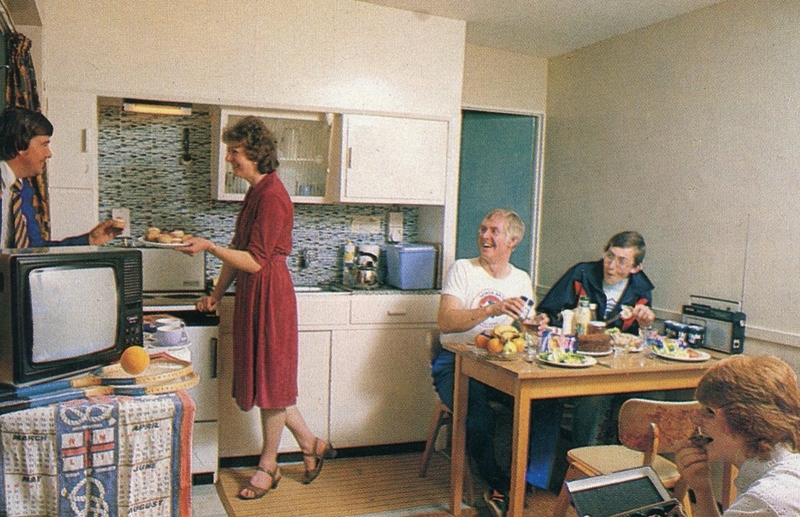 Chalets were not equipped with any kitchen or lounge facilities. In February 1991 a major fire destroyed the main camp building and the site never reopened. Prestatyn. 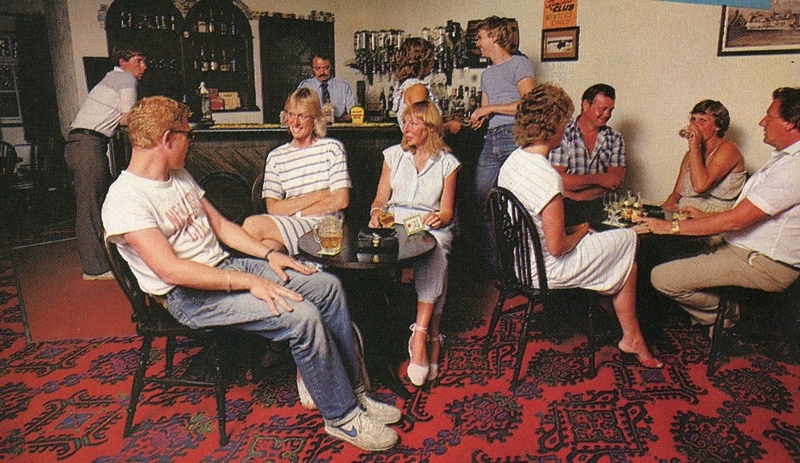 Covering 40-acres this purpose built self-catering camp was built in 1971 on land previously occupied by a stock car racing and greyhound track – the distinctive oval track still forms the internal road layout today. Prior to this it was a cricket ground. It has 820 chalets mostly arranged in two-storey apartment-style blocks with a total capacity of around 4,000 guests. 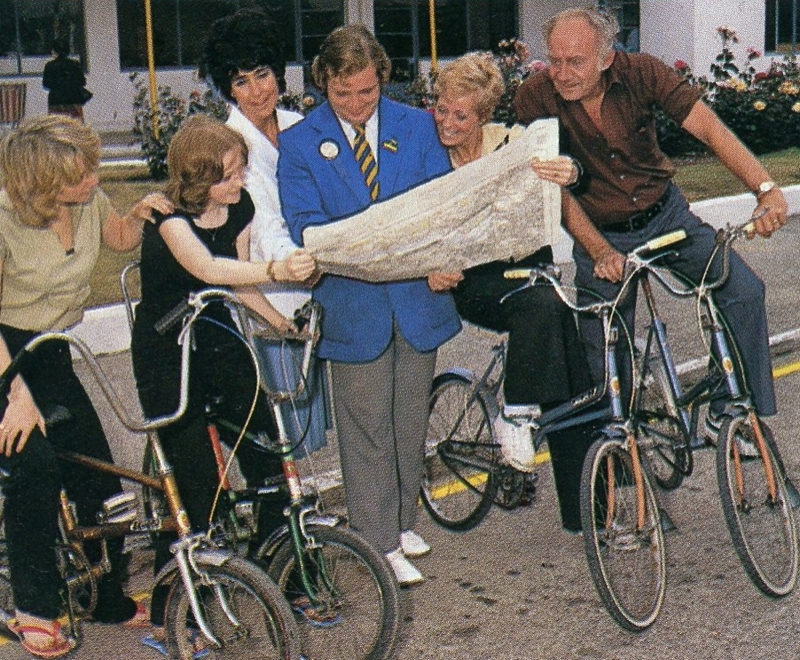 It always was, and still is, the largest camp in the Pontins empire in terms of capacity. 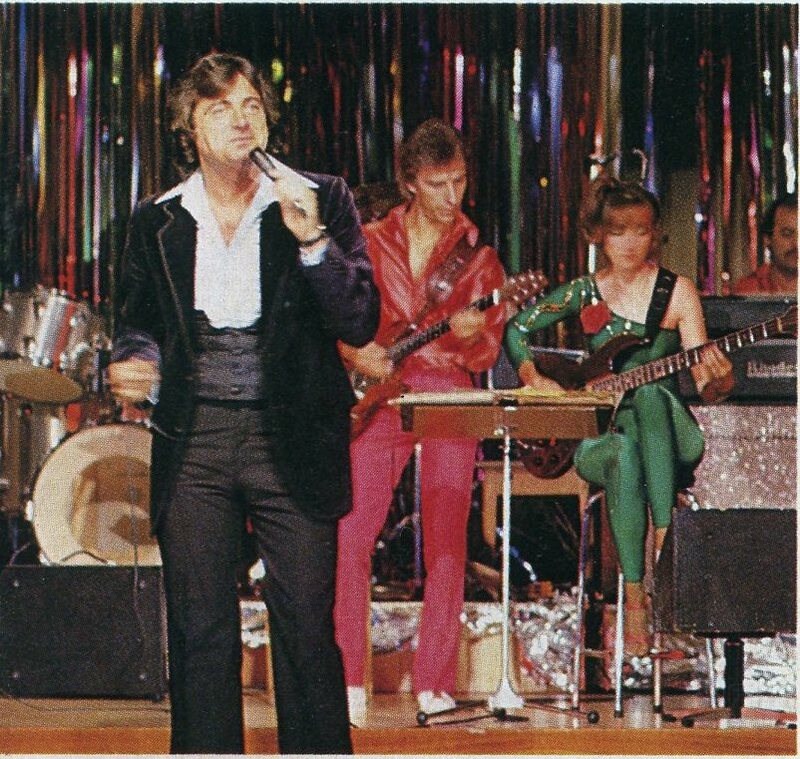 Pontins Blackpool Holiday Camp. The brainchild of Herbert Pye this camp developed during the early 1930s as a camping ground with tents. 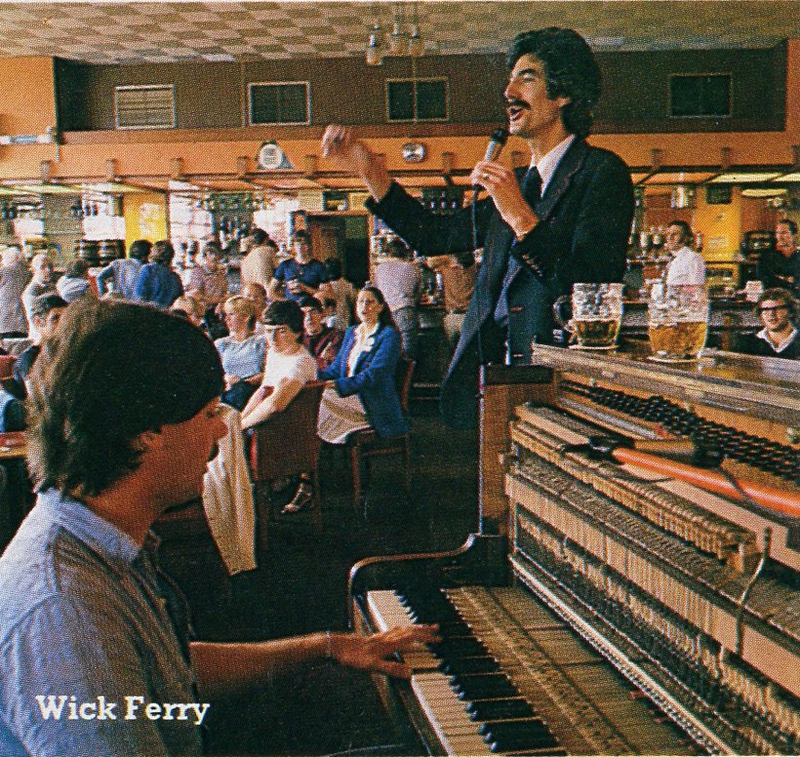 By the late 1930s the tents had been replaced by over a thousand wooden chalets and in 1939 a huge new dining hall, bar, ‘grand piazza’ and outdoor swimming pool were built. Pye had spent some years living in California and the architecture and interior designs were very much in that west coast American/Spanish style. During the war it was taken over by the Navy and renamed HMS Prithibian. During the 1950s the site continued to expand and a number of static caravans were installed. It was sold to Pontins in 1961 for £375,000 and Fred Pontin later remarked it was the best investment he’d ever made. 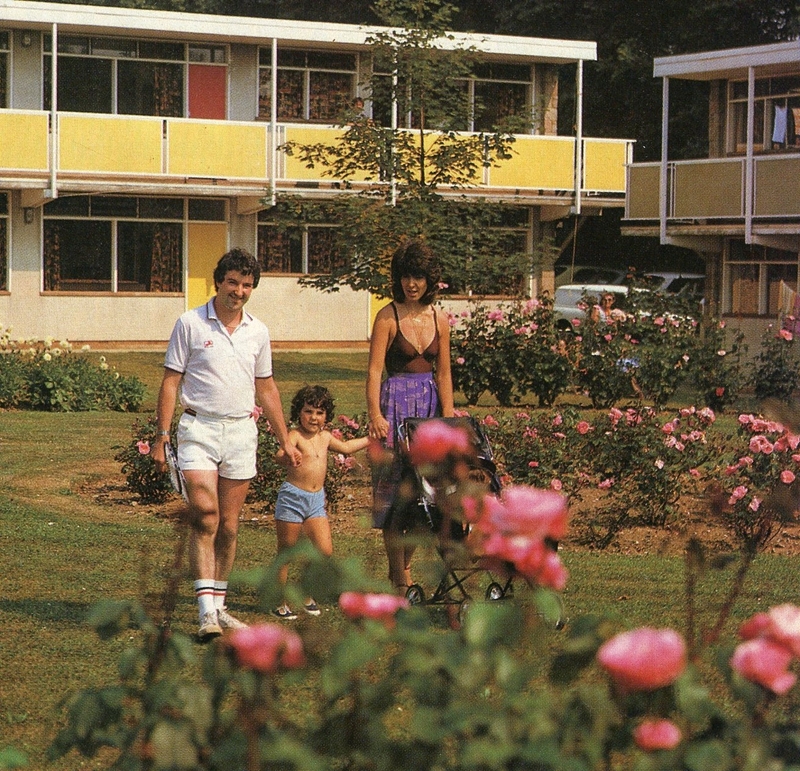 The 38 acre site was soon rebuilt with brand-new chalets arranged in one and two-storey blocks. 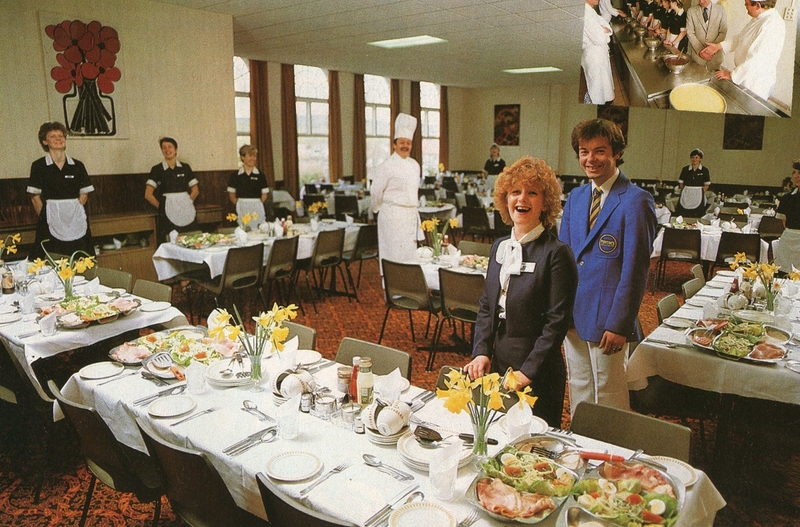 As it was a full board site all meals were included and were taken in the huge new communal dining room. Pictures courtesy of Glen F on Flickr.